Every day, Mashery customers use performance data from the Mashery Dashboard's Reports section to manage their API programs. From developer activity and method usage to conversion rates and geographic query distribution, Mashery customers get the information they need—in tables, charts, and downloadable spreadsheets—to make business and operational decisions. It's not surprising, then, that lately we've been hearing from more and more customers who want to integrate this valuable information with their own data warehouses and analytics tools. 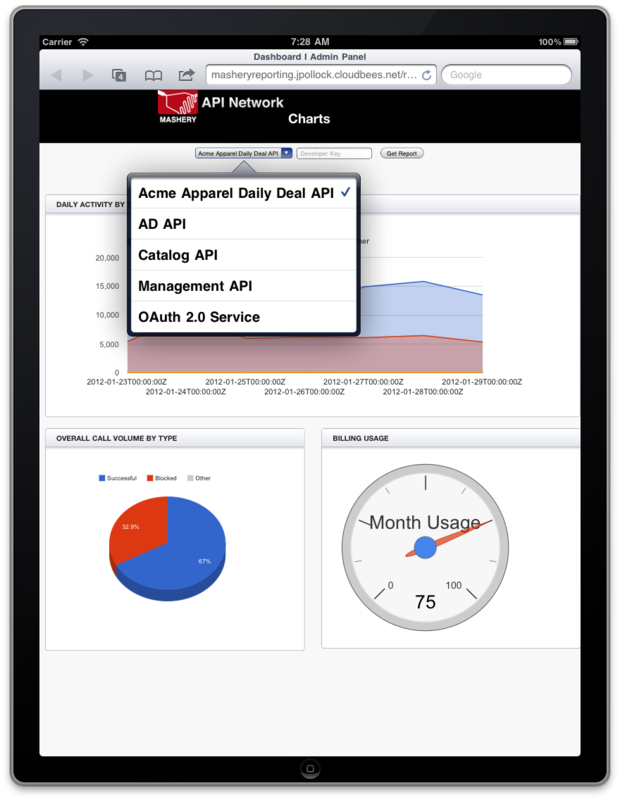 So I'm happy to announce that Mashery is introducing an API for grabbing API reporting and analytics data. The new Mashery Reporting API exposes all the information used to build the Mashery Dashboard's charts, tables and spreadsheets. It's a RESTful API that returns either JSON or CSV formats. 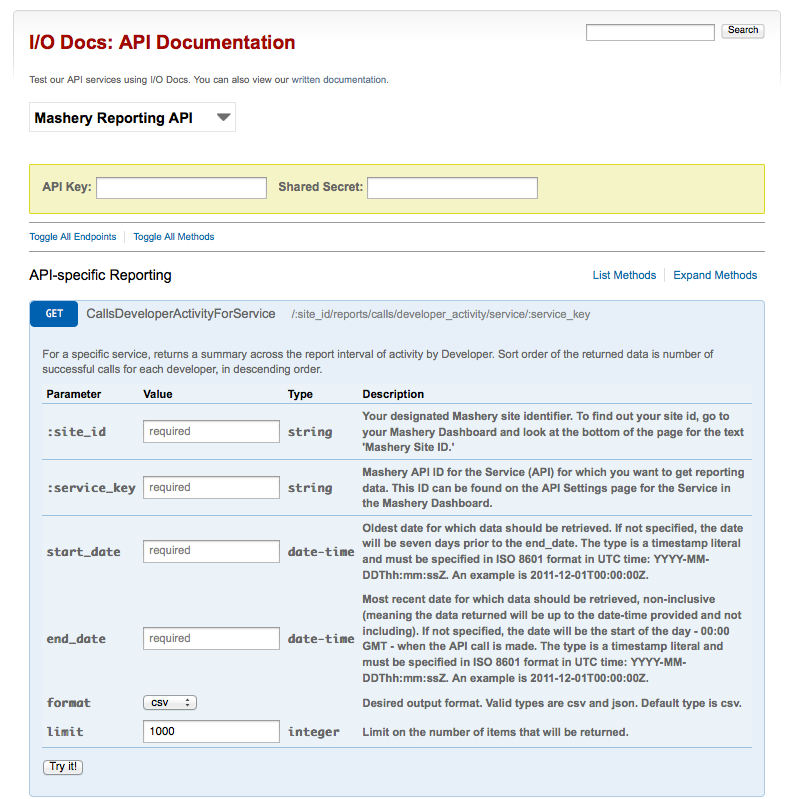 Check out the documentation at http://support.mashery.com/docs/read/mashery_api/20_reporting or, even better, try it out (after signing in with any Mashery V2 API key) using I/O Docs at http://support.mashery.com/io-docs.